Medieval villagers performing a nose dance during a celebration. 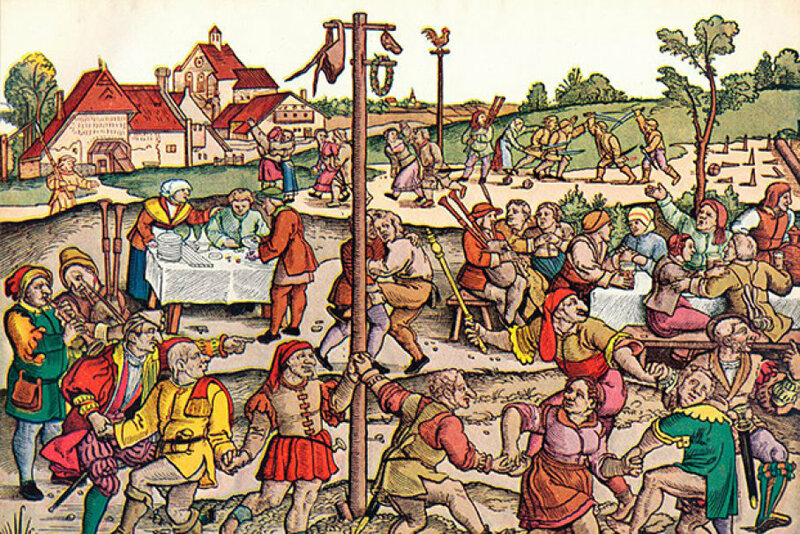 In 1518, a dancing plague hit Strasbourg, France. Wikipedia - "The dancing plague (or dance epidemic) of 1518 was a case of dancing mania that occurred in Strasbourg, Alsace, in the Holy Roman Empire in July 1518. Around 400 people took to dancing for days without rest and, over the period of about one month, some of those affected collapsed or even died of heart attack, stroke, or exhaustion. 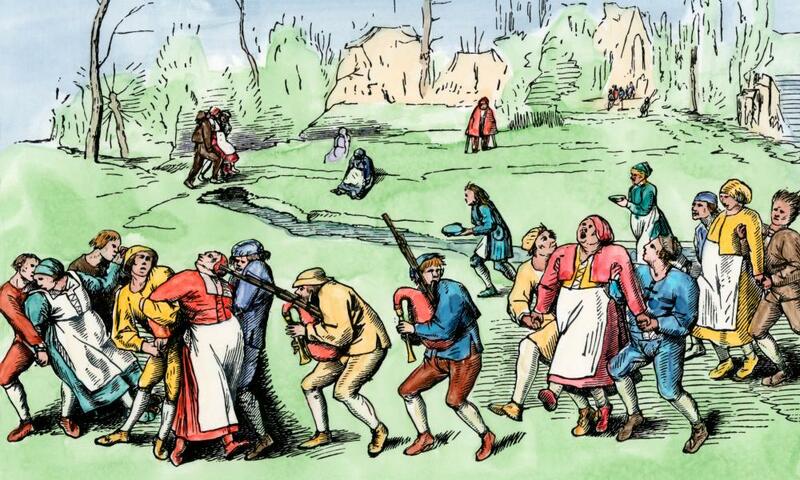 The outbreak began in July 1518 when a woman, Mrs. Troffea, began to dance fervently in a street in Strasbourg. This lasted somewhere between four and six days. Within a week, 34 others had joined, and within a month, there were around 400 dancers, predominantly female. Some of these people would die from heart attacks, strokes, or exhaustion. One report indicates that for a period, the plague killed around fifteen people per day. However, the sources of the city of Strasbourg at the time of the events did not mention the number of deaths, even if there were fatalities. 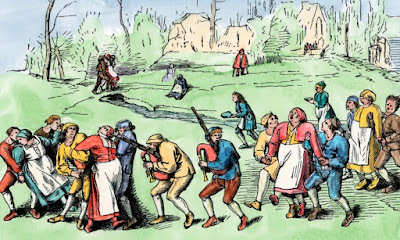 ..."
Mass-anxiety in Strasbourg: what was the dancing plague of 1518? Dancing fever … people affected by St Vitus Dance.